Scheda: Nazione: Germania - Produzione: Mitteldeutscher Rundfunk, Norddeutscher Rundfunk, Zieglerfilm Köln - Distribuzione: Polyband - Soggetto: Dieter Bongartz, Leonie Bongartz - Sceneggiatura: Dieter Bongartz, Leonie Bongartz - Fotografia: Felix Cramer - Montaggio: Martin Rahner - Costumi: Elena Wegner - Musiche: Peter W. Schmitt - Effetti speciali: Callisto FX - Formato: Color, film tv - Durata: 100'. 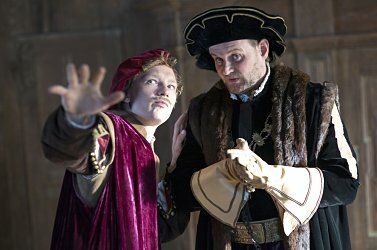 Cast: Jacob Matschenz, Jule Hermann, Anna Bederke, Devid Striesow, Peter Jordan, Jakob Benkhofer, Peter Heinrich Brix, Eloi Christ, Katja Danowski, Timo Dierkes, Sebastian Kaufmane, Hedi Kriegeskotte, Dirk Martens, Oda Thormeyer. 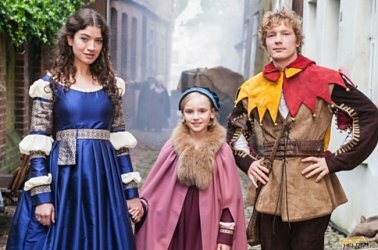 Trama e commenti: filmtv.it: «Nel 1350, il burlone Till Eulenspiegel si prende gioco di tutti con i suoi scherzi e le sue battute. L'unico a non tollerarlo è il sindaco della cittadina, che, dopo essere stato preso di mira, #decide di aprire la caccia a Till e ai suoi aiutanti. Catturando la bella Kathrin e gettandola in prigione, il sindaco spinge Till e la figlia di lei ad avventurarsi alla ricerca della chiave speciale che aprirà le porte del carcere». Plot Summary, Synopsis, Review: IMDb - film-rezensionen.de - de.wikipedia.org - betafilm.com - filmstarts.de - sofahelden.com - zelluloid.de - reviews: «The story of Till Eulenspiegel, the gentleman joker (who tricks the rich and gives the poor), is a famous one and has been made as a movie many times. One of the most known may be the German animated version from 2003, which was not that positively received though. 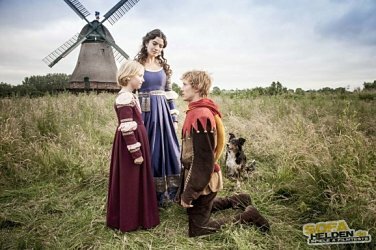 The German television stations ARD and ZDF made many fairytale movies in the last years, usually around the holidays and for Christmas 2014 they released this. The film consists of two parts, one hour each. 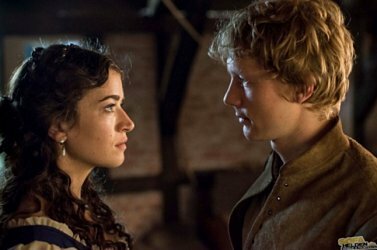 It is set in Lübeck (Northern Germany) and deals with Eulenspiegel's pranks, but also with his relationship to a young girl and her mother. And all this, while he has to make sure not to be caught by the evil mayor. 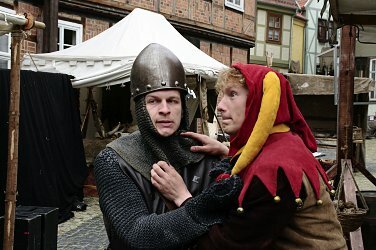 Eulenspiegel is played by Jacob Matschenz. You may have seen him in "Die Welle". 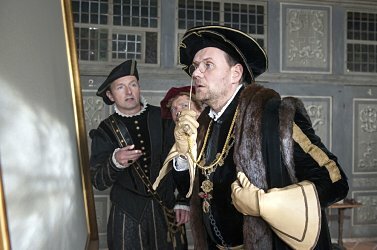 The mayor is played by David Striesow, also a pretty famous German actor. The rest of the cast is not too known. The film's director is Christian Theede and it is by far not the first fairytale movie he made for television. same can be said about Dieter and Leonie Bongartz, the unusual combination of a father-daughter writers duo. ...». 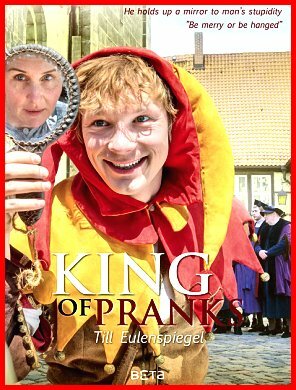 Conosciuto anche con il titolo: King of Pranks.